When your daughter is nice enough to invite you into her apartment, nice enough to allow you to stay for several days, nice enough not to be too demanding about what she’d like you to bring her…When her sole request is a bag full of her favourite granola…How can you say “no”? You can’t. My granola-making days go way back to hippie times. My big brother got me started in the early ’70s. It was such a down-to-earth experience, making our own cereal. Kelloggs be damned. It was around the same time that he got me into yoga, macrame and funky candles made in milk cartons lined with ice cubes. Those were the days of altered states. I can just hear Cat Stevens emanating from the stereo as I smell the sweet, nutty aroma of Great Granola wafting about our kitchen. Is that what I smell? Preheat the oven to 350F. Combine the oats, coconut oil, vanilla, cinnamon and syrup on a large baking tray lined with parchment paper. Bake for 40 minutes, stirring occasionally, then stir in the nuts and seeds. Bake until the mixture turns golden brown, about 5 more minutes. 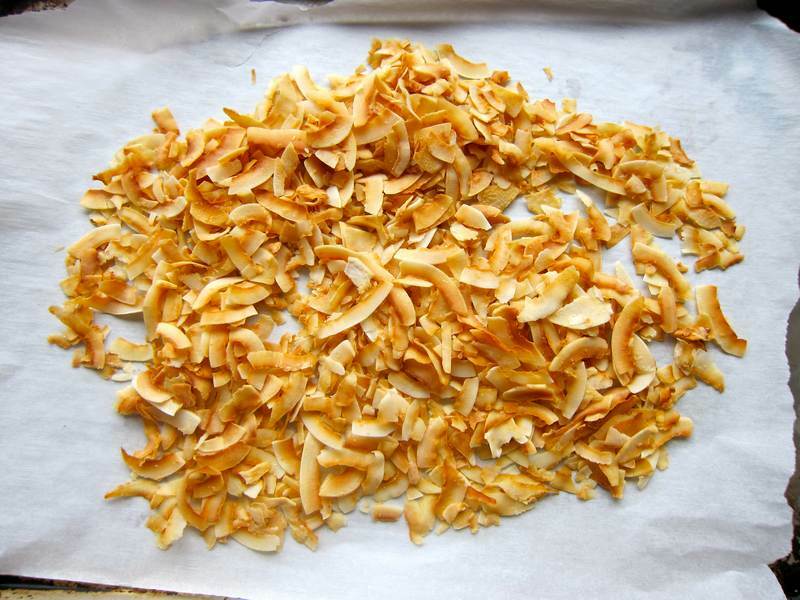 Gently mix in the coconut chips and the dried fruit. Allow the granola to cool to room temperature. Store in a sealed bag or an airtight container. Serve with your favourite milk or yogurt and fresh fruit. Makes about 12 cups and serves many, many people, unless you offer it to your daughter fending on her own. Then it serves just one. This is not one of those cloyingly sweet, overly oily granola recipes that taste more like sticky candy than health food. The added sweetness comes from fresh fruit. 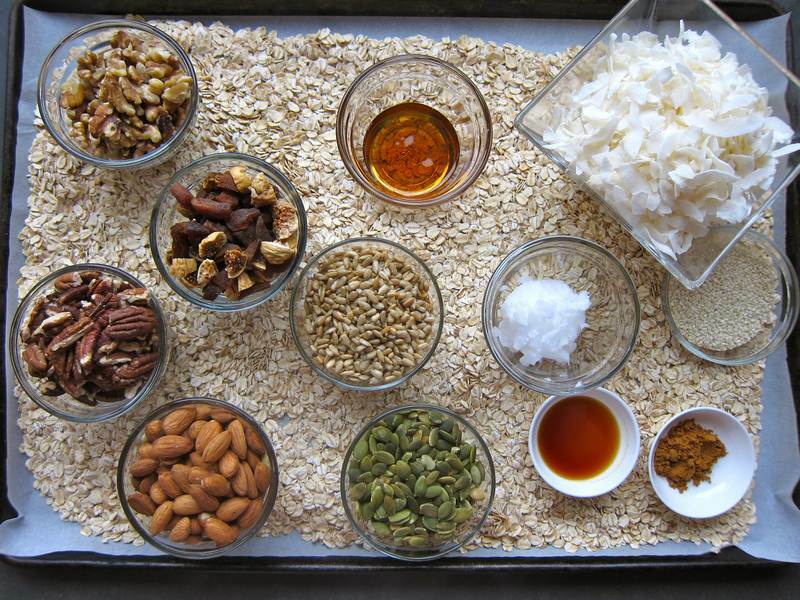 Take a walk down memory lane and add a soundtrack to your Great Granola baking. 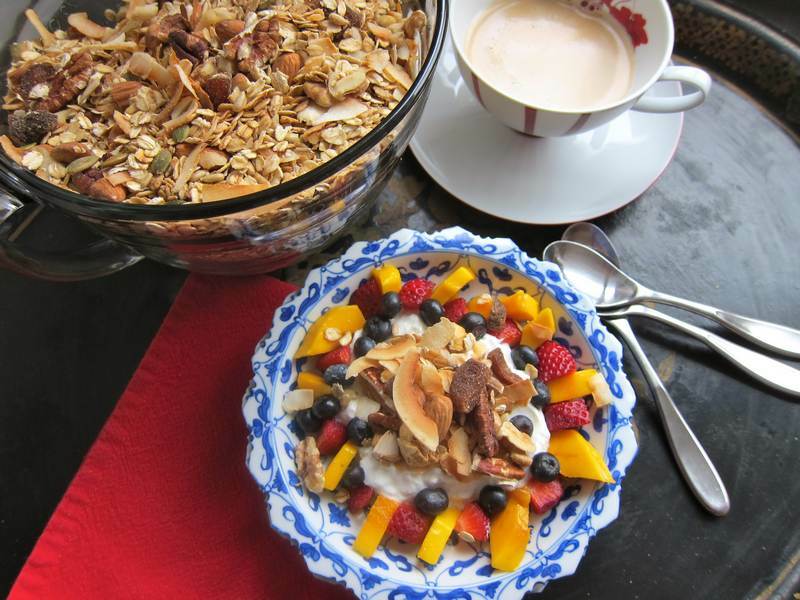 In case you’re looking for the original granola recipe from my pre-blog days…. Preheated oven to 350F. Line a baking sheet with parchment paper or foil. Combine oats, coconut, 1/4 cup maple syrup and salt. Mix well. Spread on sheet and drizzle with tablespoon of syrup. Toast for about 40 minutes, tossing from time to time to promote even browning. Remove granola from oven and cool slightly. Add dried fruit and nuts and mix well. 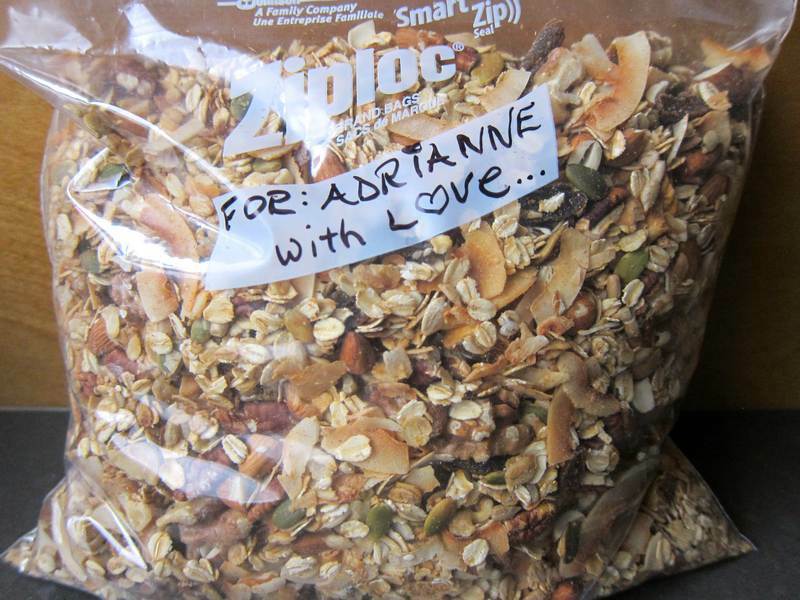 Thanks to my good super-organized friend Lana for finding my long-lost Original Super-Tasty Granola recipe. Thanks Mimi! I’m still just getting used to being a mom from afar. Food love! Your granola looks wonderful! What a neat thing to make and take to your daughter’s when you visit.Thanks for the link to the granola bars I blogged about over at Not Dabbling in Normal. My favorite too – ship from the US!! Haha! Come on home for lots and lots!! Miss you! What a perfectly delicious love letter. Hey married lady making granola for her & her hubby! Glad you liked! Mazeltov and looking forward to seeing more photos. There are over 400 recipes for you to discover. Subscribe above for a new Jittery recipe each week.